Naked Mole Rats Can’t Get Cancer: What Can They Teach Us? Since my favorite cat got cancer not long ago, I’ve naturally found myself thinking about cancer and disease more and more. As a SF writer, I’ve always taken a keen interest in modern medicine. As we’ve moved into the information age, we’ve gotten more sophisticated in how we approach the study of disease. In the past, we’ve did what system administrators and programmers call the “brute force” approach. We get mice sick and throw a ton of chemicals at them and see what works and what doesn’t. After we find a few drugs that work, we try to combine them and see if that works. The major problem is that this is just not scalable. In systems administration, we already know this, but it’s taken scientists a bit longer to realize the limitations of the model. Eventually, you can’t throw enough iterations or people or processing power at a problem to brute force it so you have to come up with a better and more strategic approach. Now we’re getting smarter. I’ve already posted some articles about research at MIT that studies the meta-characteristics of disease. They are looking for universal cures, not cures to specific diseases. This is a much more intelligent and holistic approach. 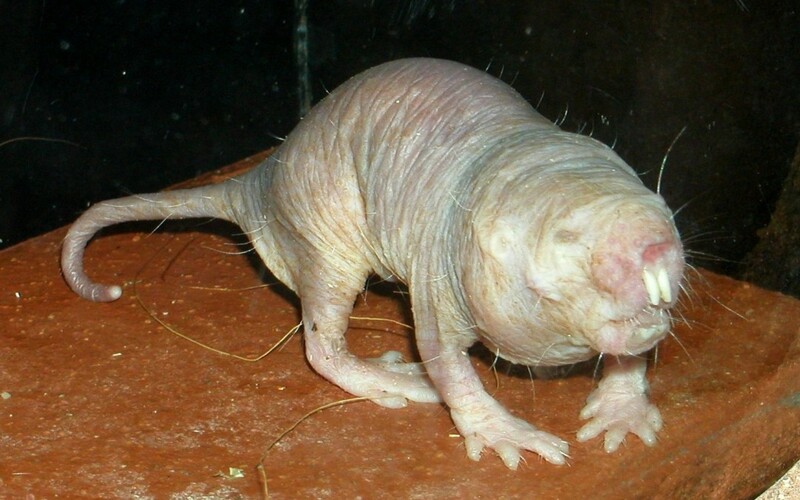 Scientists are approaching the study of the Naked Mole Rat in another way familiar to programmers: reverse engineering. By studying something that nature already evolved, can we figure out how and why? Nature has already done the brute force work for us. It’s called evolution. Evolution is nothing more than the brute force combination of traits in a constant battle for balance. A plant evolves a way to stop certain insects from eating it. An insect evolves a defense against that protection. It’s a constant push pull, a war. In the battle against cancer, mostly we’ve lost. We’ve had some success, but despite a 5 billion dollar annual spend on the problem, we haven’t come close to cracking the code. That’s why it’s so exciting to see fresh thinking on this front. Finally, it looks like we’re working smarter not harder. In the end, it’s the only scalable solution.